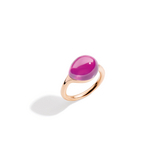 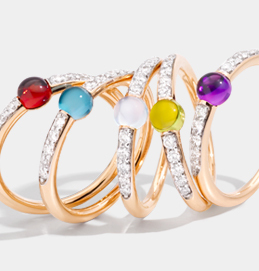 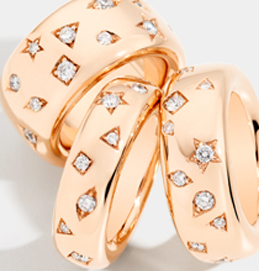 An intense, fluid-looking cabochon tops a sinuous, feminine ring for a warm and plush style. 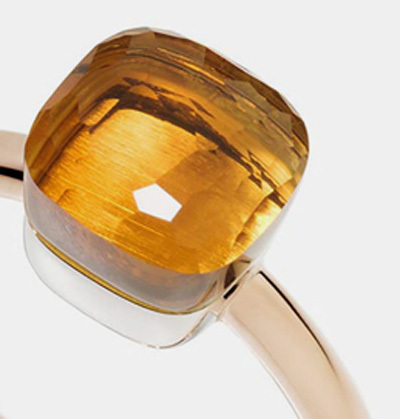 Synthetic corundum artificially reproduces the physical and chemical properties of its corresponding natural gem. 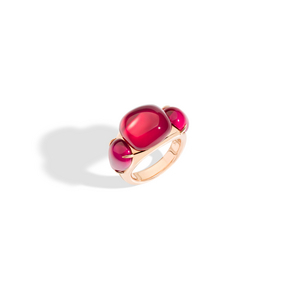 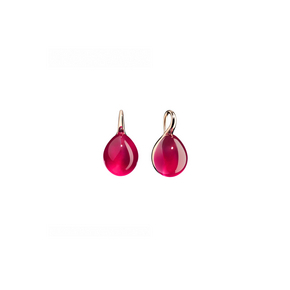 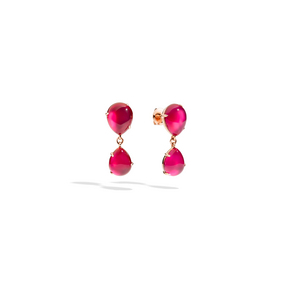 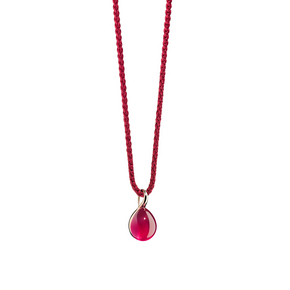 The first artificial rubies of gemmological interest made their appearance on the market in 1885, marking the beginning of the era of commercial synthetic gems.